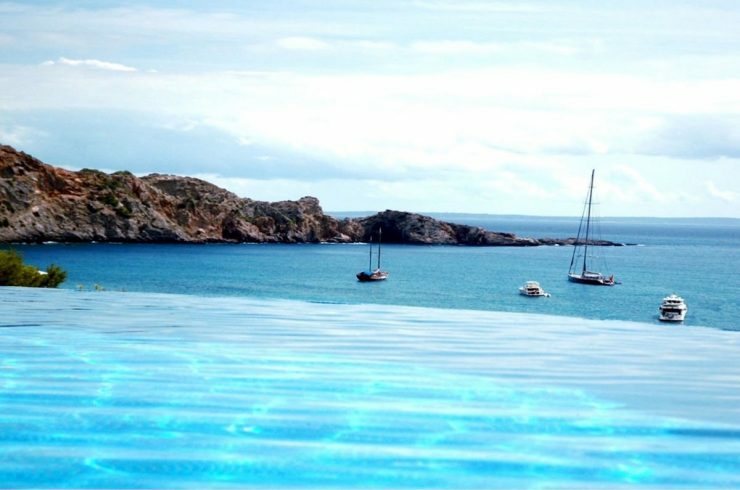 Ibiza is ideal for a dream vacation playing golf in one of the most beautiful islands of the World! The Ibiza Golf Club is the destination to combine the passion for golf to the discovery of a territory rich in natural beauty, beaches, lot of fun and a true gastronomic heritage. If you don’t find what you’re looking for, contact us and we will make a customized search according your needs. The club “Golf the Ibiza” has two courses: an 18 hole course of high competition standard and a 9 hole course which is easier and more relaxing making it possible for anyone who enjoys this sport to play on the type of course most suited to their needs and standard. Roca Llisa is a driving range and 9 hole golf course in Ibiza’s Santa Eulalia area. You can practice here all year round in a pleasant weather. Today Ibiza Golf Club is in the process of merging with the Roca Lisa Club, which with its 9 holes joined to the 18 of the Ibiza club, will form a 27 hole complex. It is a relatively flat course, with wide fairways and very fast greens. Open in winter from 10 am to 3 pm and also on the weekend from 10 am to 2 pm and a few hours in the afternoon. Here you can find private lessons and group lessons, handicaps, pro shop, clinics etc. 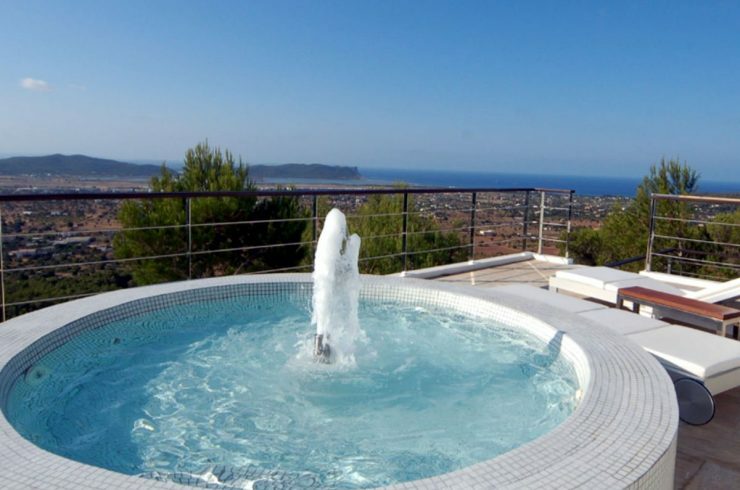 Here you will find a selection of prestigious Golf house for rent and Golf house for sale in Ibiza, such as Villas and Apartments a few steps from the Ibiza Golf Course, but also a Villa, Finca, Cottage, Penthouse. Golfers know very well that Golf is not just a sport, but a lot more. Golf is a lifestyle! Only a golfer can understand what feelings offer long walks between one Green to the other and the deep sense of peace and freedom that only Golfing can give (especially if you play while you admire the extraordinary landscape of Ibiza Golf Club!). Here in the Ibiza Golf area we will help you to find Golf properties for rent and Ibiza Golf properties for sale (within or near a Ibiza Golf Club and Ibiza Golf Resort), where you can enjoy the perfect mix of sport, nature, extraordinary landscapes, good wine, good food and relaxation. Contact us for further information! 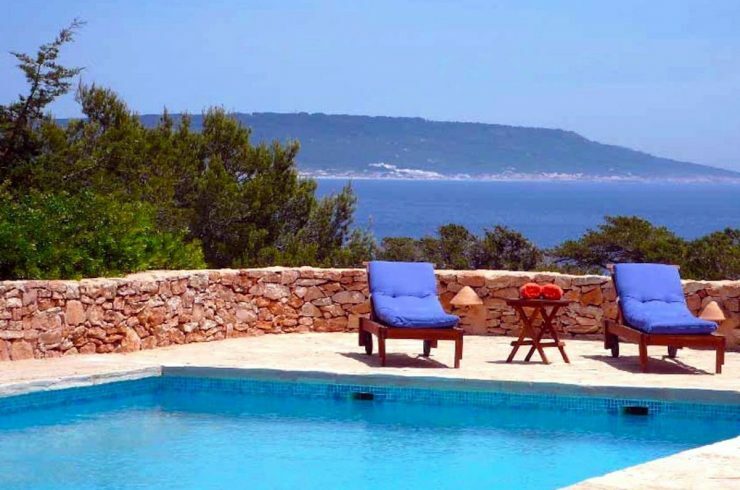 The team of Ibiza Rent and Ville da Sogno has selected for you in the Ibiza Golf area some excellent real estate opportunities amongst Ibiza Golf House for rent and Ibiza Golf House for sale: from Ibiza Golf Villas to Ibiza Golf Apartments inside or near the Ibiza Golf Club. Panoramas that you can admire when playing at the Golf Club in Ibiza are difficult to be described with just words. Sweet green hills rich in olive trees and vineyards, towering mountains that frame the intense blue of Mediterranean sea… is in these dreamlike landscapes some Golf real estate for rent and Golf real estate for sale can be found. 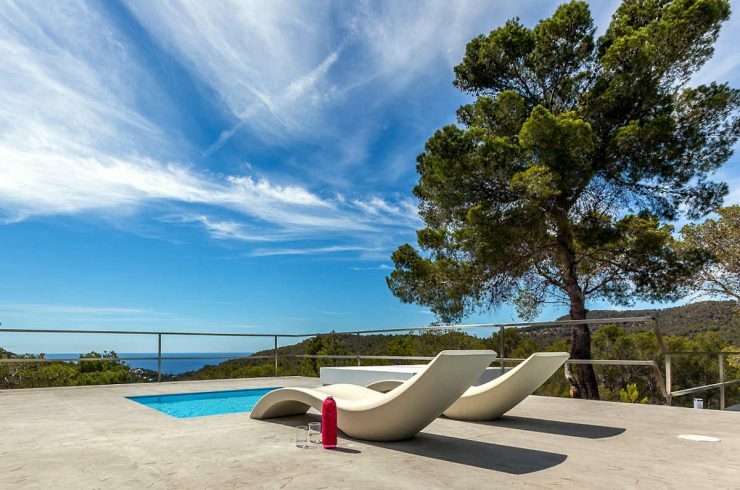 The real estate market in Ibiza has a high demand. Many keen Golfers in Ibiza look for Golf homes for rent and Golf homes for sale: luxury Villas, Apartments, Country Houses, Fincas (Spanish traditional Farmhouses and Cottages) inside or nearby the Ibiza Golf Club. If you decide to buy a Golf house for rent in Ibiza such as a Villa, Apartment, Penthouse or Golf House near the Golf Course, you’ll make a safe investment that will revalue over time and, if desired, we can rent it for you guaranteeing an interesting annual income. Contact us for details.